i have always hated these beauty pageants. Never showed any interest. i see my sisters, cousins, nieces talking endlessly about them and see them glued to the TV watchigng the show, and i feel something is seriously wrong with me. Have quite a few fashion magazines lying in my room. Chokrees come and ask questions and these magazines keep them from eating my brain. Besides, making women look and feel beautiful is my profession. i see the pictures, models ads and all. This post is not about fashion or beauty pageants, its about the number tags. i can understand in the field of sports where you are judged by your performance or examinations, you get marks and grades, First second third or fourth. Competetion berings out the best in you but not always. i find that very funny. Heeelo ! How are you ? Do you have fever ? No i am the one with fever, others are fine. Number 2 is not good enough ? i really pity the number 100, she must be eating cockroaches. These number tags insult womanhood. A woman has a right to do anything to look more beautiful. Women are programmed by nature to attract males. They are programmed to be in control. But they are not, unlike the other species. i hate being in control of anything. i let myself be blown away by the wind. oh numbers. yes i am drifting from numbers. Murthy accuses me of jumping the subjects. other friends accuse me of the same. We'll get back to number tags. Absolutely no dispute. He is number one. Still. Some years ago The RollingStone magazine came up with top 100 guitarists. This is not weight lifting. This is not Tour de France or 400 meters hurdles. i can understand the stupidity of fashion magazines, Jewelry, perfume or Textile Industry, there is money involved, they have something to sell. 'i feel like i own the stage' says Ritchie Blackmore. changed his style to play Renaissance music with his wife Candice Night. "I don't care about the rules. In fact, if I don't break the rules at least 10 times in every song then I'm not doing my job properly" Says Jeff Beck, where is he ? Number what ? felt sad and ignorant, never heard of him. Many names in the list are new to me. Have to go after them. BB King comes next and followed by Eric Clapton at 4.
wow ! He won't mind that. Keith Richards at number 10. hmmm. In the movie ' Out of Towners' (remake) Steve Martin says ' i walked in to the office dressed like Keith Richards. He looks better than meeee. He is followed by Kirk Hammett at 11 if i remember right. i have only one number on my iPod. 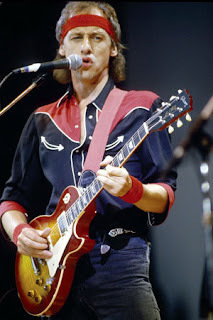 i scratch my yeddu when i see Mark Knopfler sitting at number 27. 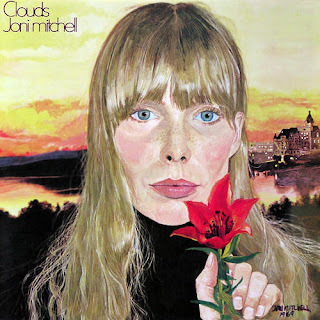 72 is Joni Mitchell and you begin to get angry, very angry. Hi Joni, how are you ? i'm fine, wan a smoke ? i do, but i smoke only when i am alone. So ? what do i do ? do i feel happy sad or stop singing ? Do you wan that number ? No thank you, you keep it. She would feel silly holding flowers at Jimi Hendrix memorial (Seattle), you are number one and i am 72, sorry i wasn't there at Woodstock. Its going to be very silly if some one comes up with an idea of 100 top artists of the world. Perhaps some one has.. Van Gogh number one and William Bouguereau number 99 or he may not have a number at all. Does it really matta ? HILO ! Me fine thank you, No i am not sitting at the top of the world, afraid of falling, besides, its pretty cold up there, i would look silly wearing all that heavy winter gear ! i am slipping in and out of clothes without unbuttoning or unzipping them but the weighing scale shows that i have added 2 kilos, i am 56kgs now. improving, i am eating well and thanks for all the emails and greetings. Christmas time, you all muss be bijjy. Me having Christmas lunch wid Rajkumar, Sarah Becky and John as usual. Merry Christmas, Rauf! Happy New Year! You are right. There can be no numbering of beauty and art. It is numberless. I was getting seriously worried about you old bean. You've made me a happy chappy posting just before Chrimbo. 'I am very donkeys' has got to be the most hysterical opening line in blog history! Beauty Pageants? Nah. Prefer more 'natural' beauty myself. Hendrix? I sort of missed him. He shuffled off as I was getting into Bowie. Oddly I've been listening to some Hendrix for the first time lately. The man could PLAY!!!! You take care mate and have a good'n and don't stay away so long allright!!! I would like to be donkeys, too. I don't know exactly what being donkeys is, but it sounds not too bad. So if you had to rate numbered lists on a list of things you hate - what number would it be? I don't think it would be in my top 100. Now I have to go and have a think about what my top 10 of things I hate would be. See what you have done!!! we used to listen to the "TOP TEN"
I have to go to look after my new grandson now! Lists are for selling things. I looked for NPR's best music of 2009 and I bought some after listening to them online. I had no idea what new music was out there. I'm isolated, no Peter around to tell me what is worth listening to. I'm way too stuck in my old music, rauf, you know that. Just Joni, JT, a few others. I have to hear new music, so I go to the lists. The best way to try new things is recommendations of friends and family. You tell me about some musician like Loreena McKennit. Or I tell you about Eva Cassidy, who I found at someone's blog. I never heard of her, but now she's on my list of favorites. Nobody even knew who she was until she died, and she went on the UK's chart of popularity. Peter didn't even get recognized for his guitar playing in the King of the Blues competition, but I think he's the best guitarist I've heard in person. He moves me, and I want to stand in front of a stage, close my eyes, and connect. No one else can tell me someone else is better than him. I think when we let someone else tell us what the best is we lose touch with what we think for ourselves. Thank you Rauf for coming to my blog. I asked my son in law how to say Merry Christmas in Malayalam, and he did not know! Now, I don’t like lists either. I do not like blog awards because many of them ask you to list things about yourself – the 5 things you like, the 5 books you prefer and so on, and I come up with 20 things or more. Also lists can change depending on your mood – if you are pensive, you may like Joan Baez, but feel more energetic, you like Jimi Hendrix (I saw him burn his guitar on stage in Monterey, Ca., by the way, it was quite something.) When I was in Paris I heard some French Algerian rapper and he was good – he would have been number one on my list that day. Amazon has a “wish list”. I place some of the books I would like on this list, but then when I have some money and go back to buy a book, I may be in a different mood and what was on top of my list does not seem as attractive – right now the top book is “My Grandmother: A Memoir by Fethiye Çetin, a Turkish author, but tomorrow it could be another book on my list – Mao’s Last Dancer by Li Cunxin. I think your post is very witty – it’s a joy to read it. Have a great Christmas and New Year 2010. Bah,who cares about these silly numbers anyways.. they are just to sell people and products..! !and ofcourse to give others a BIG complex about themselves, n for ones in No1 position an ego the size of their nonexistent brain!! bah i say! bah!!! btw, why did u start by saying 'I am very donkeys????????????????? why oh why raufee? Happy happy Christmas to you, your sisters, Moin, Ruby, your BIL, and to your dear friends in India toos. In fact Happy Christmas to India. Would you please go tell everyone in India I said Happy Christmas? You have a way of shedding light on the "dark" side of things...! I don't even half the guitarist you mention. But, on the athletes I have a huge concerns because with the Winter Olympics coming up in Vancouver/Whistler in Feb (at an obscene cost!!!) I ask myself what kind of measuring instrument are they going to have to invent to measure smaller than 100th of a second. Imagine loosing a gold medal; get silver because you arrived a mere second, 100th of a second "later". Just though I throw this one in the pot. Will not comment on the girl/women "numbering"
One can never grade beauty or art/music as they have their own identity. Merry Christmas, Happy Happy New Year - I am overjoyed to hear you are feeling better and gaining back a few kilos. I do not like the numbering thing either. I will say that your list has some of MY favorite guitarists on it, but how can anyone "rate" them? Did they mention Stevie Ray Vaughn? He is one of my favorites, along with Clapton, Knopfler, et al. How about Chuck Berry? Sometimes I think it should be more like "100 Excellent Guitarists In No Specific Order"
I have now lost the thread of my thought, so I will shut up. I hope all your dreams and projects for the new year come to fruition. I am so glad to know you and I hope you have a good new years. I think it must already be there the new year there! And here...I'd like to introduce a friend of mine travelling and working in India from U.K. I am going to tell her about your blog too. All the best dear friend! First, a very happy new year. It's been a long time since I've had any news from you. A lot of things have been happening in my life as well. May be a portion of it will get some space in the blog. Just reached home, a few hours back. Been along time since been to your blog, it's always such a pleasure. Will write soon. Till then take care. You always have a wit and clever opinion about a diversity of issues. I wish TO you and your loved ones a HAPPY NEW YEAR! So happy to see you blogging again! Fun and nice reading of course! If I would have to make my musician list today, it would be out-of-date. Would I be better on the top beauties? In any case, I wish you a very good 2010!! Of course you're right about those stupid gradings. There must be something about the human brain and numbers - and competition, and wanting to come ahead of the others. As if this could possibly apply to music which by nature is artistic and about sharing joy with others. How stupid. But the people who make up these lists are not the artists themselves, they are the finance people who count the number of CDs you sell and the amount of profit they make and that kind of stuff. As for beauty pageants you raised my interest when you said beauty is your trade. Are you a hairdresser or what? Number tags are subjective, aren't they? For instance, you are my number 1 blogger friend and I'm sure that tag means something special for both of us. Everything in life is relative, even number tags and most adjectives you can throw at somebody. I'm sorry I missed this Christmas post, the last month has been hectic and I'm not doin' too good either. Will be better in a couple of weeks. It's your birthday tomorrow and I'll be writing you again then. For now I just want to once again wish you a wonderful 2010, dearest number 1 blogger friend Rauf. Today is a special number: 1-8-10. Or if you're Indian or British or lots of other things: 8-1-10. Anyway, it's January 8, your birthday. Happy Birthday, rauf! Hey Rauf, It's me - Barbara in Vancouver. Best wishes for you in this new year of 2010 or (______) (whater calendar is used by the reader. I like lists-and I LOVE the sounds from electric guit-fiddlez!! A publication in Chicago called The Illinois Entertainer listed all of these "local" fave guitarists-and it was a good issue because-they printed the working staffs argue back lists-how amazing!! I've seen maqny pictures of James Marshall Hendrix-but I haven't seen the one you posted before-what joy!! The yellow orange background STILL looks great on 'yer blog!! you will be more known abouty india by magaizne arena . becouse magazine arena will provdie you more informatione about the 72 states of india .